The most important area of social policy is also the development of tourism. 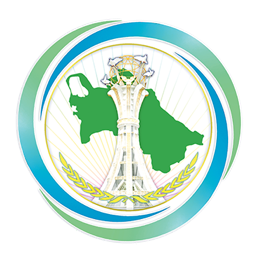 The main task of the State Committee on Tourism of Turkmenistan is to promote international tourism as the most profitable areas of the tourism industry. New tourist routes will be opened in order to attract more foreign tourists, as well as measures are taken to improve the quality of services. In the practice of tourism enterprises of Turkmenistan more than 200 hiking trails, intended for local and foreign tourists. We are working on the development of new routes and the inclusion of new routes in the existing facilities. This activity covers, in particular, the National Tourist Zone "Avaza", the attractions of Koytendag district, the Karakum desert, the canyon of Sumbar and others. To date, three major sites of historical and architectural significance - Kunyaurgench, Merv and Nisa - included in the UNESCO World Heritage List. Each of them is a huge cultural and scientific value and all of them have long been favorite places for foreign visitors. In the future, necessary steps will be taken in order to include amazing sites of Koytendag and other natural sites to the list of the UNESCO’s world legacy. In this regard, the relevant work is carried out on the improvement of natural scenic corners Koytendag in order to create favorable conditions for tourists - for the construction of hotels and other providing systems. Turkmenistan has several times given entries in the Guinness Book of Records. In particular, the country first was noted in the Book of Records for the world's largest handmade carpet area of 301 sq.m. Turkmenistan's capital Ashgabat is recognized as the white marble city in the world. The list of world records are included other sights of the Turkmen capital - the world's tallest flagpole in front of the National Museum of Turkmenistan, sculptural complex "Oguzhan" locate at the entrance to the international airport of Ashgabat and a huge star of Oguz Khan Broadcasting Center "Turkmenistan" and the wheel Ferris Ashgabat cultural and entertainment center «Älem». 2. STE “AHALSIYAKHAT” 744000, Turkmenistan, Ashgabat, Oguzhan str., 201. Tel. : +(99312) 95 75 04, 39 25 40. Tel./fax: +(99312) 95-75-02. E-mail: infoahaltravel@gmaiI.com, info@ahalsiyakhat.com. Web: www.ahalsiyakhat.com. 8. “AYAN” TOURISM&TRAVEL COMPANY 744000, Turkmenistan, Ashgabat, Turkmenbashi Av., 81. Tel. : +(99312) 22-70-05, 22-71-80, 22-74-94. Fax: +(99312) 22-70-14, 22-71-80. E-mail: info@ayan-travel.com. Web: www.ayan-travel.com. 12. “OWADAN TOURISM” INDIVIDUAL ENTERPRISE 744028, Turkmenistan, Ashgabat, Oguzhan str., 207. Tel. : +(99312) 95-76-72/73, 95-76-79. Tel./fax: (99312) 95-76-81. E-mail: management@owadan.net. Web: www.owadan.net. 23. “SAADA” Tourism Company 744000, Turkmenistan, Ashgabat, Magtymguly str., 117/17. Tel/fax: +(99312) 93-51-01, 93-51-21. E-mail: info@saada-tour.com. Web: www.saada-tour.com.